Since he started his business in 1986, Captain Steve has been insisting on personal service and satisfaction for every guest. As he explains, “I want to make sure everyone who comes with us absolutely loves the experience.” Canefire I and Canefire II, Captain Steve’s two hard-bottom inflatable vessels, can get you to where the action is! Each craft is a rigid-hulled inflatable, originally designed for Search & Rescue by the U.S. Coast Guard. 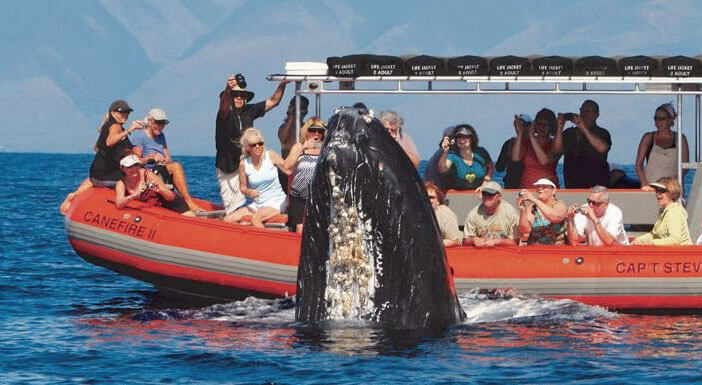 Whale watching, snorkeling and dolphin spotting are what Captain Steve’s does best! 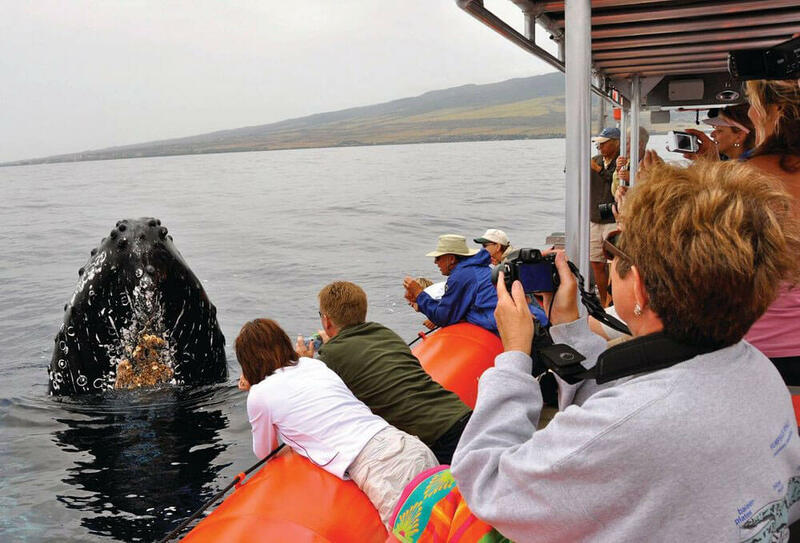 Waste no time in discovering the secrets of the reef, playing with dolphins, humpback whales, turtles or sea rays. There is no telling what you might encounter on any given day – everyday is an adventure with Captain Steve’s Rafting, which is what keeps the captain and crew smiling – there’s always something new to explore, something new to experience. And their shaded deck will keep you cool and comfortable with unobstructed views all around. With four trips daily, Captain Steve’s Rafting can fit into your vacation plans no matter what they are. 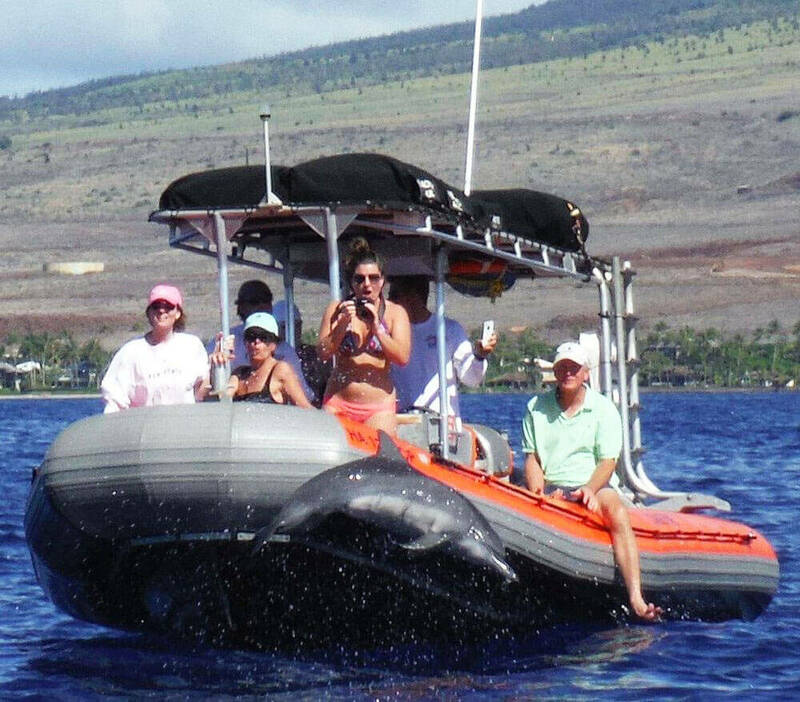 Their Deluxe Dolphin Lana’i Snorkel Adventure is one of the best ways to experience the island of Lanai, including stunning views of the sea cliffs and caves. The ride home is just as exciting with spinner dolphins and turtles often swimming alongside. And they offer some of the best fare for breakfast and lunch, made fresh daily, with plenty of cool drinks on hand and macadamia nut cookies for desert!